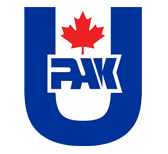 U-Pak Disposals is a leading recycling services provider in the Greater Toronto and Southern Ontario area. For over 35 years, U-Pak Disposals has been developing industry-leading sustainable recycling alternatives with a fleet of 50 vehicles and a commitment to the highest environmental standards. Labor Intensive Data Processes: U-Pak wanted to reduce staffing requirements by streamlining the daily data entry and process of getting daily calls to the driver. The current process of data entry for service tickets and disposal information, and tracking turn times, was too time consuming. Inefficient Service Verification: U-Pak was also looking for a more reliable way to confirm service completion, and for customer service staff to have real-time access to this information for issues resolution. Lack of Truck/Driver Visibility: From an operations point of view, U-Pak wanted a real-time view into truck locations, progress and call times. U-Pak turned to FleetMind and its on-board computer and driver terminal solutions to address its issues.